The volume of trade between Russia and Ukraine has always been an indicator not only of economic ties, but also the state of bilateral relations. During the presidency of pro-Western Viktor Yushchenko, there was friction between Russia and Ukraine on a range of policy issues. As a result, in 2009, the trade turnover between the two countries decreased by 35 percent. 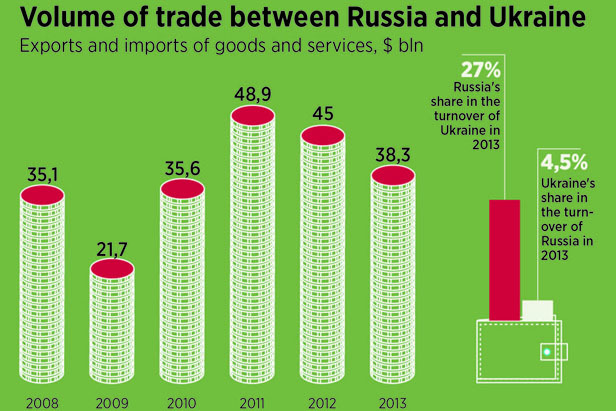 After the victory of Viktor Yanukovych in the 2010 presidential elections, trade picked up.